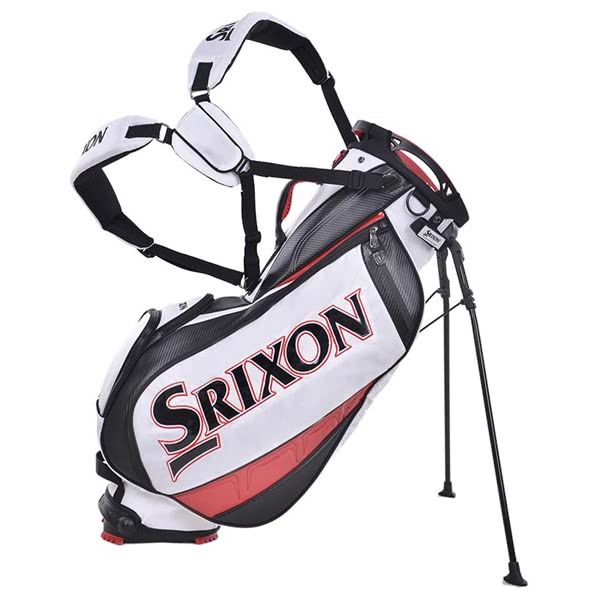 Srixon have created their Tour Stand Bag to replicate the premium standards of their Tour Cart with the functionality of a stand bag. 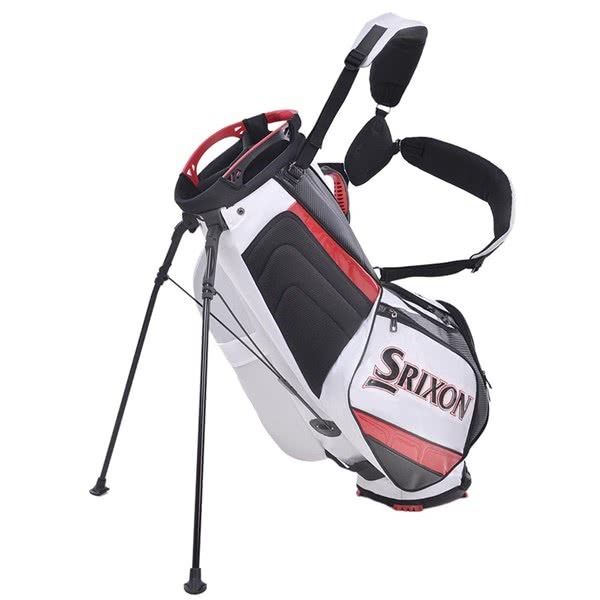 An 8.5”, 4-way divider top provides excellent space to manage your golf clubs as well as provide excellent protection. Integrated into the top are three grab handles that make lifting and lowering to and from the shoulder much more comfortable. A four way, premium adjustable double strap design has been used to provide superior carrying comfort with exceptional balance. Five easy access pockets including an insulated cooler pocket, a full length apparel pocket and a water-repellent zippered valuables pocket. 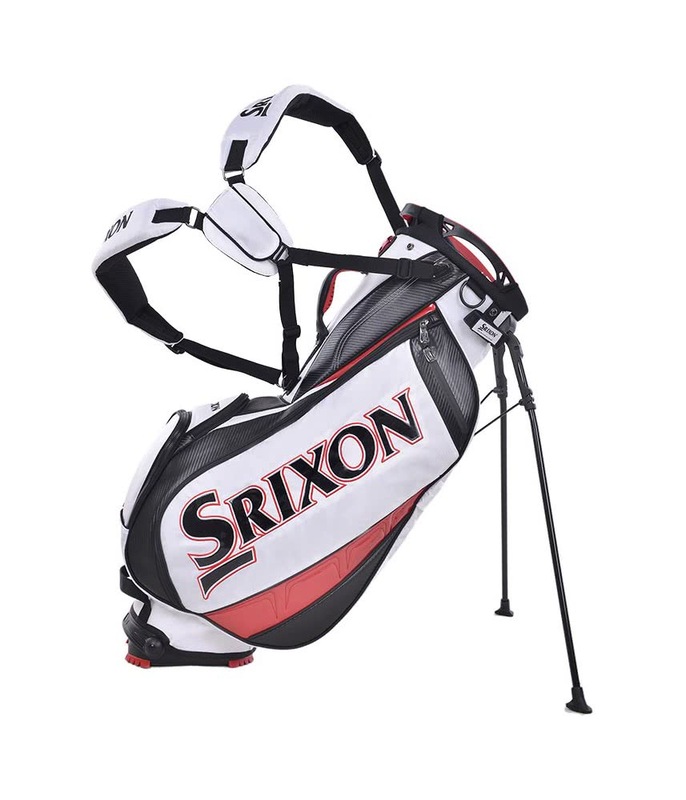 For incredible on course performance Srixon have used an angled base design and when combined with the lightweight and durable stand mechanism it gives the Tour Stand Bag incredible stability. For additional grip and stability Srixon have used non-slip pads on the bottom of the stand’s legs. 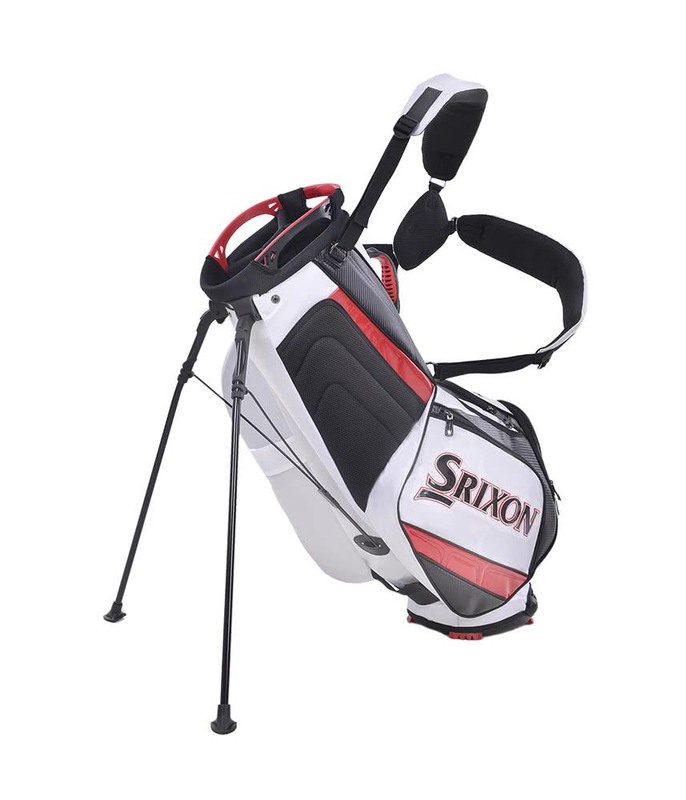 Other useful features on the Srixon Tour Stand Bag include a quick-snap rain hood, umbrella loop and a towel ring.